Honda's first business jet has logged its maiden flight ahead of its expected certification and delivery next year, the Japanese company said in a weekend press release. 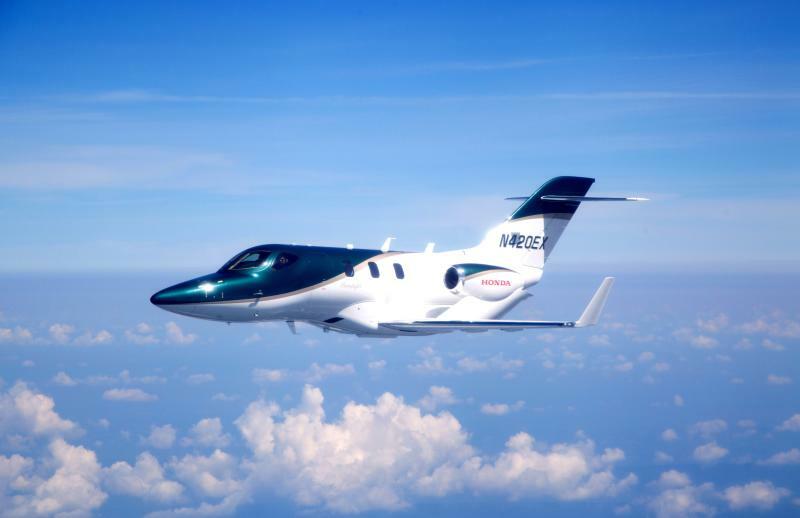 The 84-minute flight of the first production HondaJet took place on Friday near the world headquarters of Honda Aircraft, the aviation subsidiary of the automobile giant, in Greensboro in the US state of North Carolina, the statement said. "With this first flight, the HondaJet programme has entered the next exciting phase as we prepare for delivery," Honda Aircraft president and CEO Michimasa Fujino said. "Today's celebration is the culmination of extensive engineering and production efforts, and this is an important achievement in bringing the world's most advanced light jet to market." The HondaJet is currently offered for sale in North America and Europe through the HondaJet dealer network, the statement said. The plane, which seats up to five passengers in a standard configuration, flies at a maximum cruise speed of 483 miles per hour (777 kph) and has a maximum altitude of 43,000 feet (13,106 metres), it added. Priced at $4.5 million, it has received more than 100 orders from businesses and affluent customers, Japanese media said. In 2006, Honda announced its plan to commercialise business jet production.